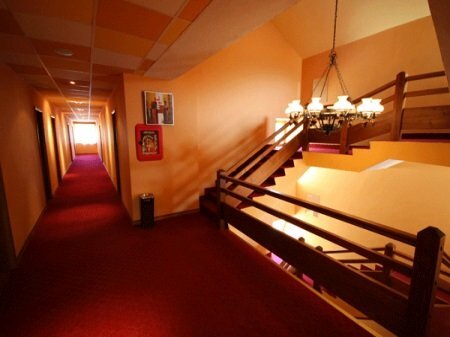 Puka HTP hotel is located very close to the lake and the ski slope surrounded by greenery. Puka HTP hotel is an ideal resort in a clean environment for winter and summer holidays. During the stay at the hotel you can enjoy the facilities of the restaurant, fresh dishes prepared especially for you. Situated near the entrance of the hotel lobby bar inside and the outside are perfect places to enjoy a coffee with friends. The hotel has a large parking lot. The rooms are equipped with direct line telephone, hairdryer, satellite TV and central heating. Puka natural environment has wonderful places clean and pristine, away from the noise of cities, industrial and urban pollution, far from tedious work of monotonous daily. Mountain climate, the greening of the beech forests of pine, is very active in the improvement of the nervous system, heart diseases and activates metabolic processes, etc.